Or at least that’s what the U.S. charts have shown. David Bowie was considered one of a kind for his time, or for times to come, for that matter. The ephemeral artist could not be encapsulated in any single genre, and was phasing through different styles with phantasmal ease. His creative fluidity did not falter in the face of industry standards. This eccentricity made Bowie stand out from the collective styles that encompassed the eras he was active in. However, the American crowd doesn’t seem to appreciate his work that much as that of the UK. David Bowie initially achieved relative success on his folk rock hit “Space Oddity” in 1969, with a rank of no. 15. Another track, this time from the iconic The Rise and Fall of Ziggy Stardust and The Spiders From Mars, tried to rank into the Billboard Hot 100 yet failed. “Starman“, although considered by many as their Bowie missionary, primarily due to it creating a musical black hole that sucked in unsuspecting victims into Bowie’s creative contraption, only held the 65th position when it was released in 1972. 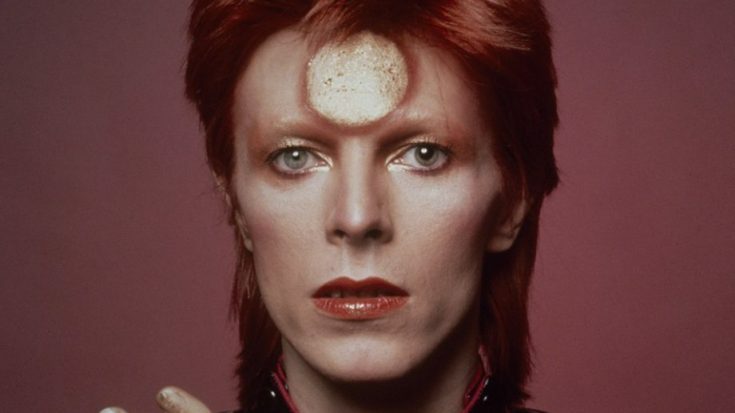 America was only beginning to understand Bowie’s penchant for distinct personas. It wasn’t until 1975, when the album Young Americans was released that Bowie saw his first shot at the top of the U.S. charts. “Fame” was a successful hit that scored the 1st place for over two weeks, and took almost 21 weeks before being replaced from the charts. A funky disco track, “Fame” brought success with Bowie and former Beatles John Lennon’s collaboration. Lennon provided guitar support and backing vocals as well. It seems that this time, Bowie has uncovered what tickled the American musical fancy. Eight long years later, Bowie garnered another chart topper in his single “Let’s Dance” from an album of the same name. Bowie stuck to the tried and tested disco-funk genre and it paid off in the American markets. Though the single only peaked for a week before staying on the chart for 20 more, the audience loved the near inclination of Bowie’s funk rock into pop. The track is also notably influenced by The Beatles’ “Twist and Shout“, as to having similar background vocals. Disco wasn’t dead, not on Bowie’s watch. David Bowie is one of the cosmic phenomena that can never be fully understood, not even with vehement evaluation. What the listener accepts as the truth of Bowie’s creative madness is only a fragment of the exhaustive spectrum of his being. Bowie can never be imprisoned in a mere mortal’s secular convention. It’s no wonder why he has never truly left this plane of existence, as evidenced by his works.